Our AC units - home or commercial - are sadly at the mercy of the elements, elements we see getting more extreme every year. When severe weather happen, here’s how to take care of your air conditioner in severe weather.. Turn off whatever heating or cooling units you have running. A power surge (lightning) can cause damage to your HVAC system. When severe winds are present, cover your outdoor HVAC units temporarily. Strong winds can blow debris into your unit jamming it’s fans and motors. But don’t leave it covered afterward! Leaving you unit covered may attract vermin like pigeons or rodents, as well as growing mold or mildew if air flow isn’t allowed. These create smell at best and health issues at worst. Animals can create cable issues. Remove loose patio furniture. Loose things in your yard or patio such as furniture, toys,' planters and tools can cause damage to your home or business, including your outdoor HVAC units. Winds can create projectiles that will shoot through a unit like a bullet. Removing them from your outdoor areas before a storm can prevent damage. So remember to love your unit so it will love you back. Stay dry folks. 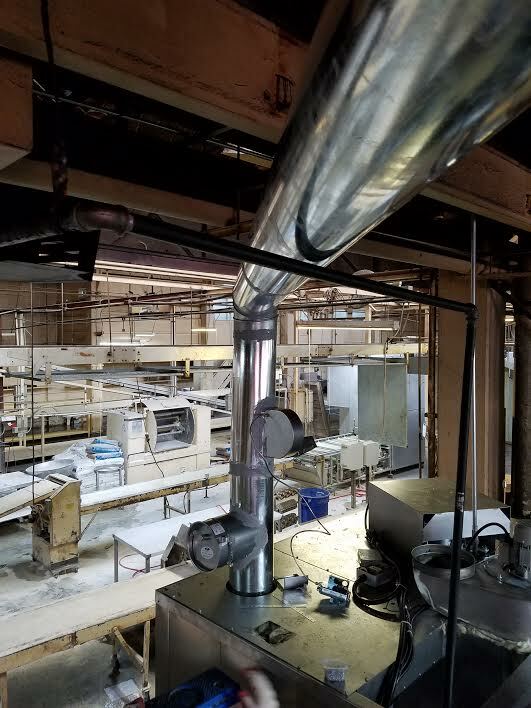 We just finished two install jobs for our friends Mac Donut Donuts in Astoria - sometimes a duct is a thing of beauty! We'll have two glazed please. Who's got the coffee? Did you know there is a museum of rocket science in Albuquerque NM dedicated to the science of sending stuff into space? This is significant. I mean without rockets how would we have cell phones or weather satellites? But what about us we were thinking? HVAC technology is a KEY to our success as the the apex species on the planet! Where's our museum huh? Well we got one...kind of. Dr. John Gorrie was the first guy on the planet to make what he called his "Ice Machine." His theory was that "bad air" caused disease in the tropics so he created this device to create ice and cool the environment pictured below. For his contribution to society Dr. Gorrie was not only granted a museum in his name, he got his name on a state park. 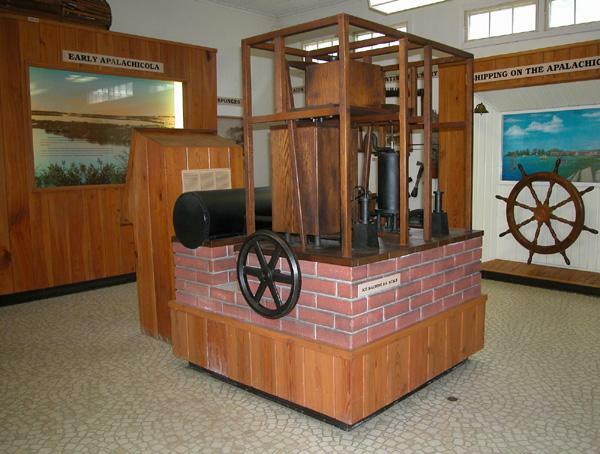 You can visit his museum located in the park in Apalachicola, Florida. You ever wonder why we call it "air conditioning?" I mean we don't call heating "temperature amplification," now do we? It turns out that in 1906 Stuart W. Cramer, an engineer involved in the textile industry in North Carolina, developed a system using humidity and ventilation that made fabrics easier to process. Cramer was so successful he founded a town! The term "conditioning" was later adopted by Dave Lennox into his company's name. That all said - enjoy our favorite scene about "conditions" in the Big Lebowski. June 22nd has been officially recognized as national HVAC Tech Day! What many fail to remember is the advent of modern climate control in many ways has helped develop modern civilization as we know it.! So maybe today, take a second to thank your techs and buy them a few six packs and some pizza.s They work hard. They deserve it. Happy HVAC Day to all - stay cool!